Get on top of school essentials fast! With this colourful home learning pack you can master all the basics, and even test yourself at home. 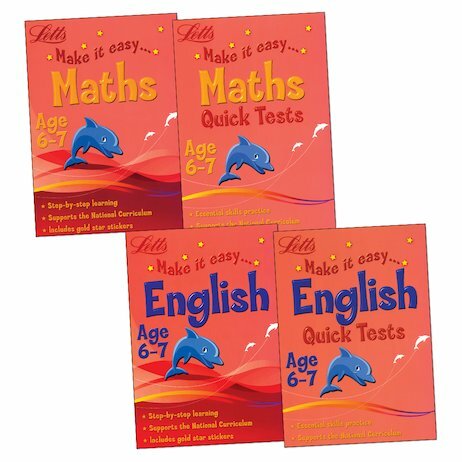 You get two workbooks to guide you through all the essentials of Maths and English at National Curriculum Key Stage 1, plus quick-test books where you can check that the knowledge has stuck firmly in your brain! With colour pictures, easy examples, step-by-step activities and gold star stickers, these are the quick, fun way to make learning easy!